With our streamlined ADN curriculum, students can complete the program in just five semesters and be ready for entry-level careers in hospitals, home healthcare organizations, long-term care facilities, private physician's offices and more. Prerequisite courses can be completed in one semester. 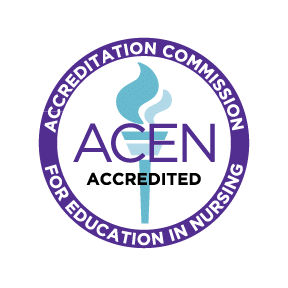 In addition to our accreditation, all of our courses are fully aligned with New Mexico Nursing Education Consortium (NMNEC) statewide. Begin your nursing education today at Northern! ATTENTION NURSING TRACKING STUDENTS! Please be advised of changes to the ADN program prerequisite requirements. Nursing faculty members are currently available for advisement regarding these changes. Please call (505) 747-2207 to schedule an advisement meeting. Our Purpose: The purpose of the NNMC ADN program is to prepare culturally diverse registered nurses who embody professional values and integrate scholarship, integrity, and quality patient centered care into the art and science of nursing. The ADN program prepares graduates for successful completion of the National Council Licensure Exam-Registered Nurse (NCLEX-RN). The ADN program promotes student success through academic advisement, multiple teaching/learning modalities, tutoring, referrals for personal counseling, and remediation services. Graduates of the ADN program are prepared to continue toward completion of a Bachelor of Science in Nursing.